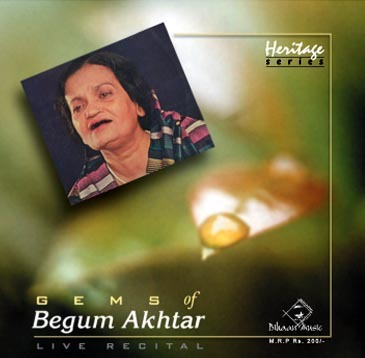 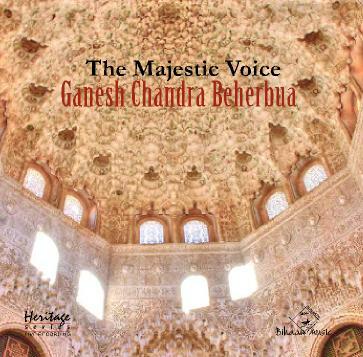 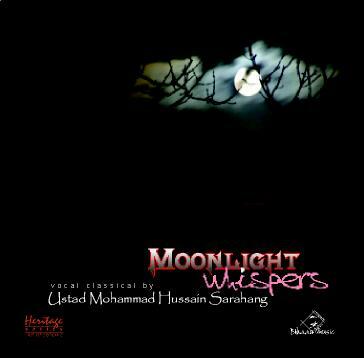 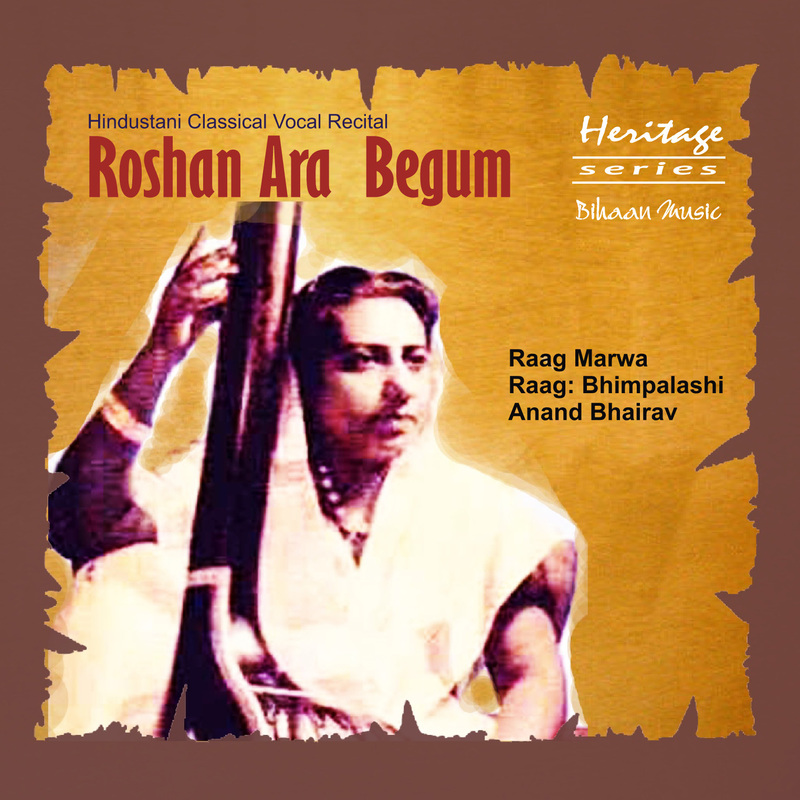 thought-provoking raga interpretation, compositional depth, and total emotional and intellectual involvement with his work. 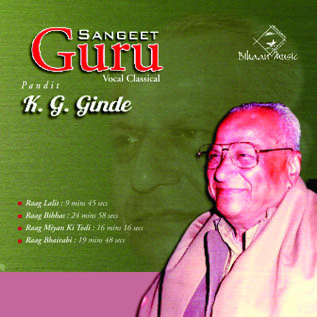 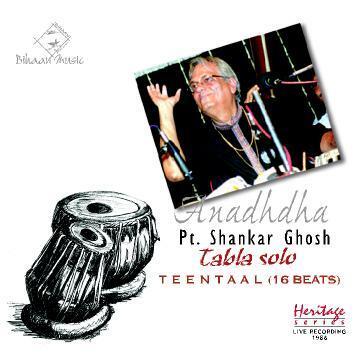 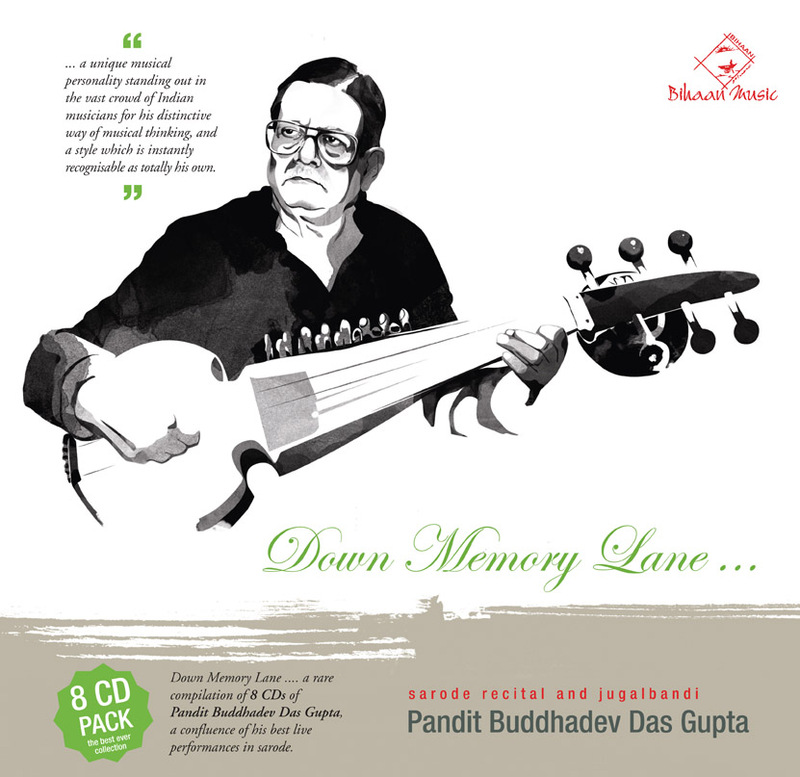 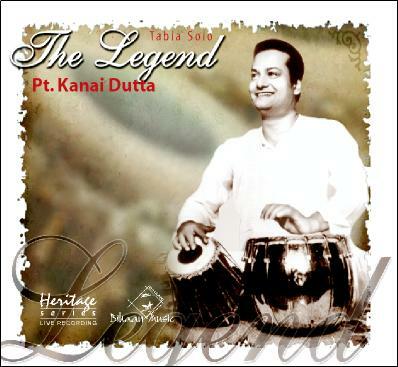 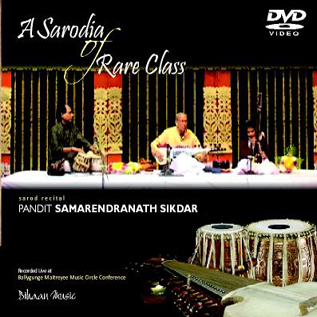 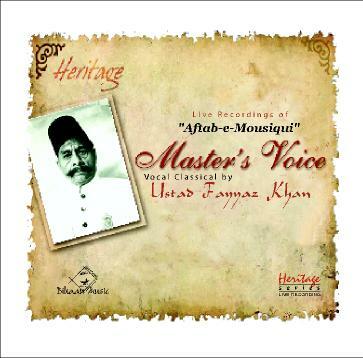 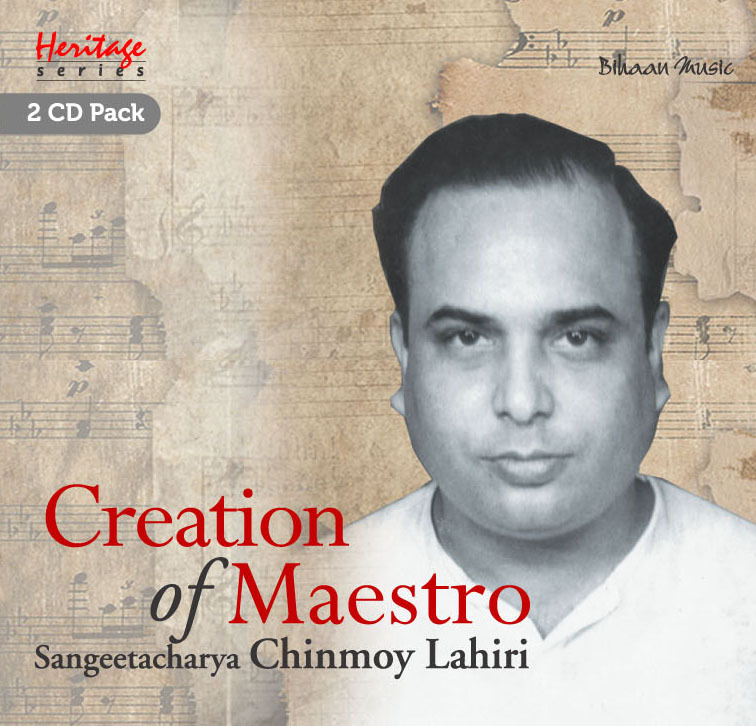 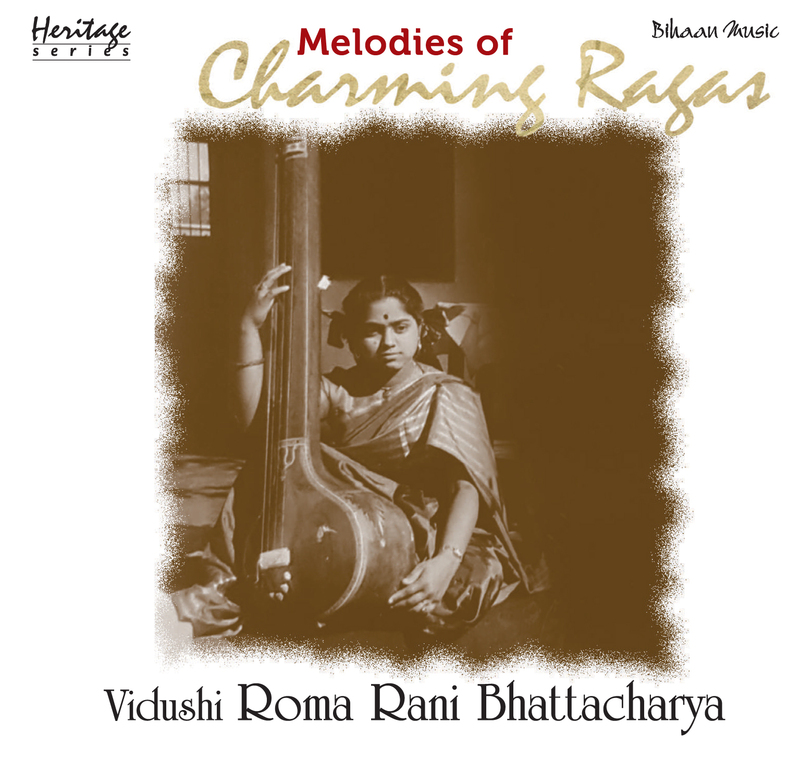 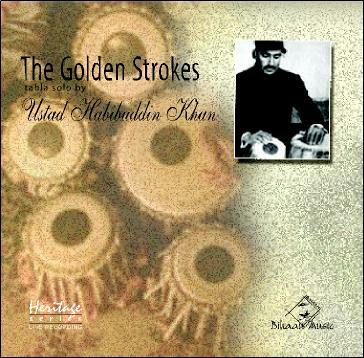 The discerning listener would like to note Ranadhir Roy’s legendary command over finger work and bowing techniques as well as the richness of his melodic inventions. 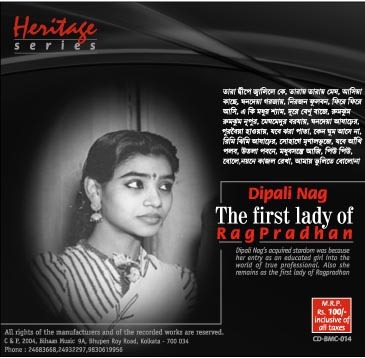 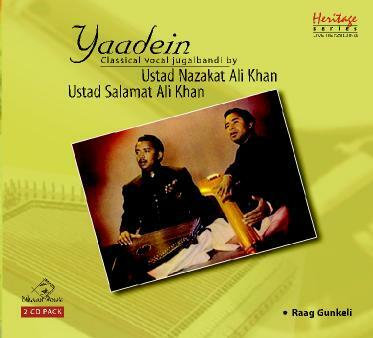 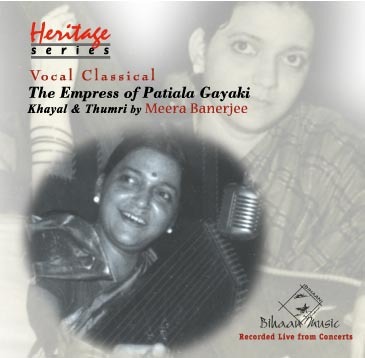 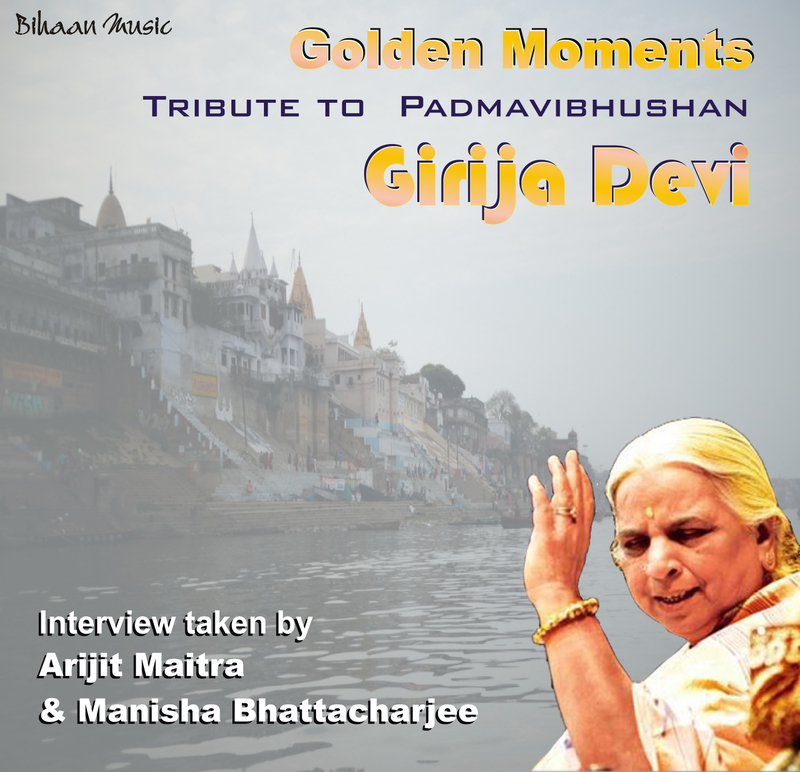 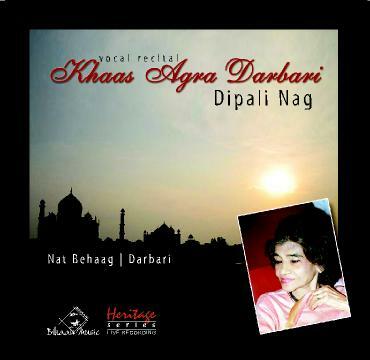 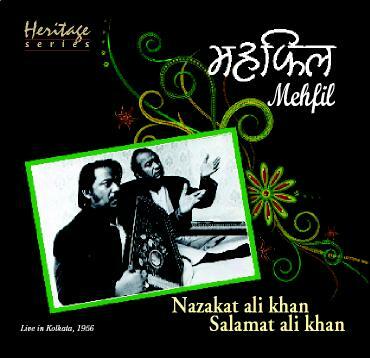 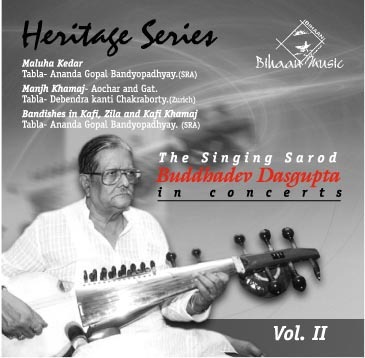 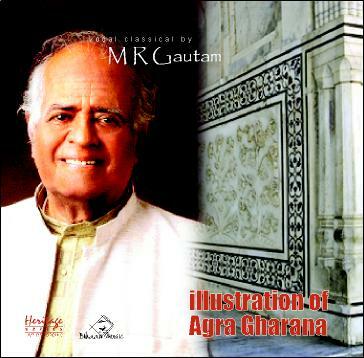 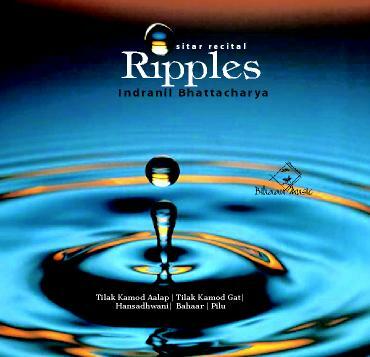 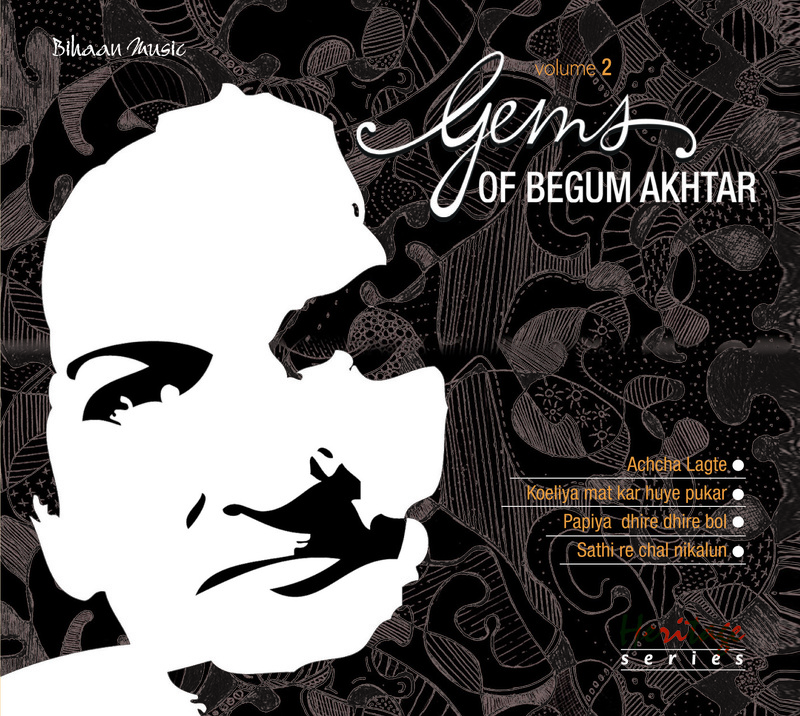 The shorter piece on Track 02 is a Madhya laya gat in Raga Zilla Kafi set in Addha-taal. 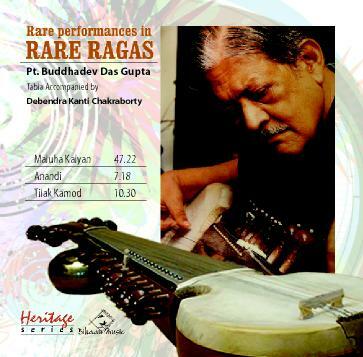 Ranadhir Roy gave this performance in Kolkata in the 1980s. 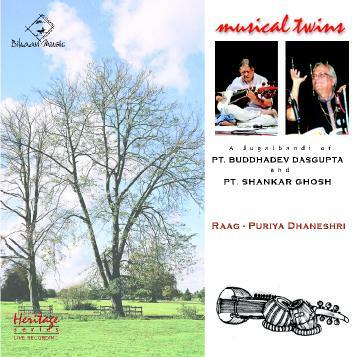 More than once Ranadhir Roy had said that he never played compositions that were not his own – not even the ones that he had learnt from his revered gurus Aseshchandra Bandyopadhyaya, Dhruva Tara Joshi and Vishnu Govind Jog. 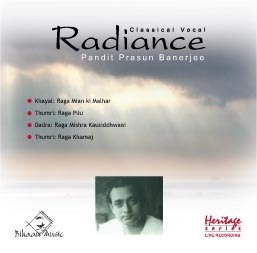 “I don’t play them anymore,” he said, “because I can’t communicate with them unless the whole composition comes from me, my own composition.” (46) While listening to Ranadhir Roy’s music, one must try to understand this steadfastly individualistic quality of his thinking. 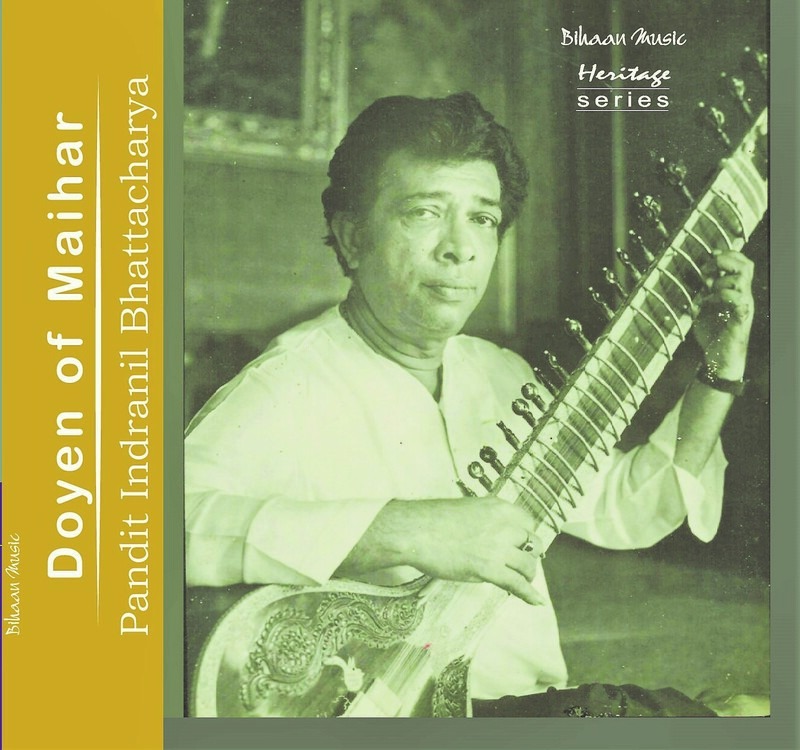 Returning to Santiniketan in the early 1970s, Ranadhir Roy started giving regular private recitals at the home of his musician friends and colleagues of Sangit Bhavana. 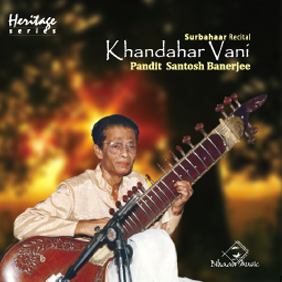 This practice had grown into a regular affair, a kind of musical salon where the musicians of Santiniketan exchanged their ideas with each other. 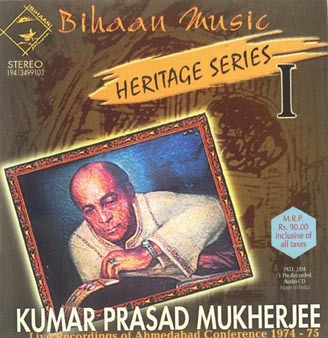 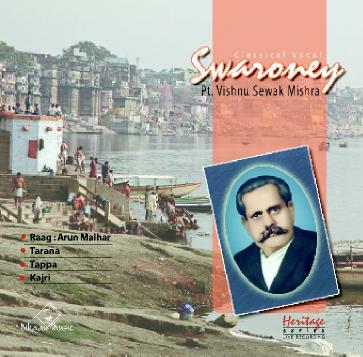 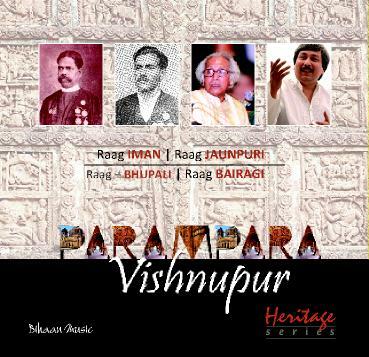 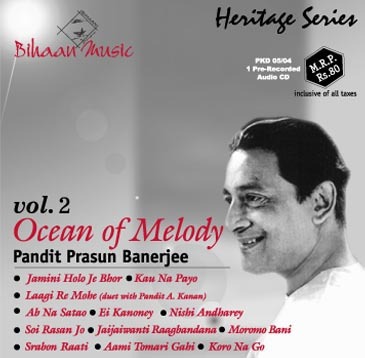 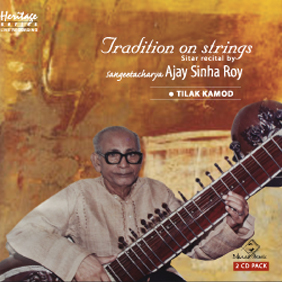 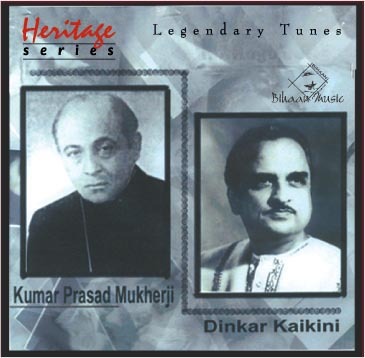 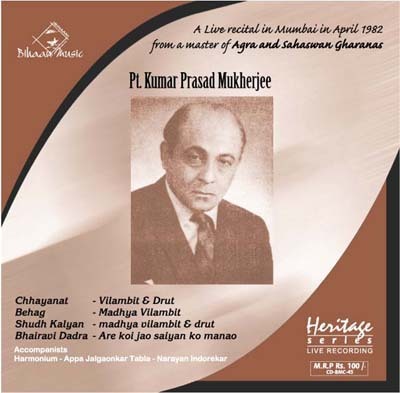 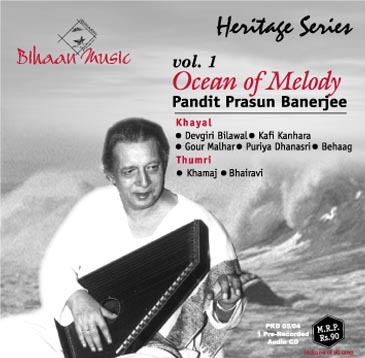 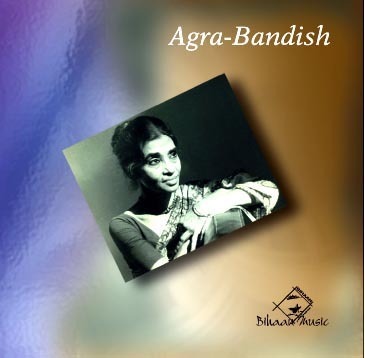 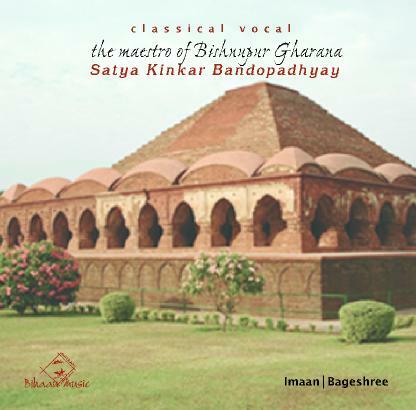 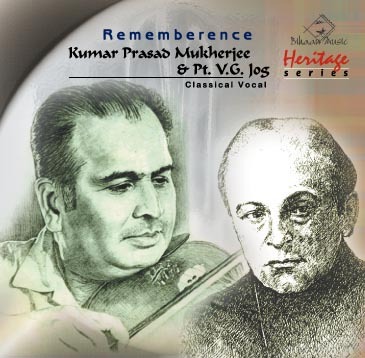 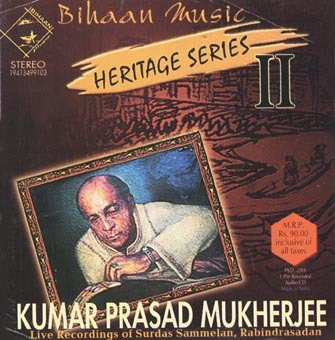 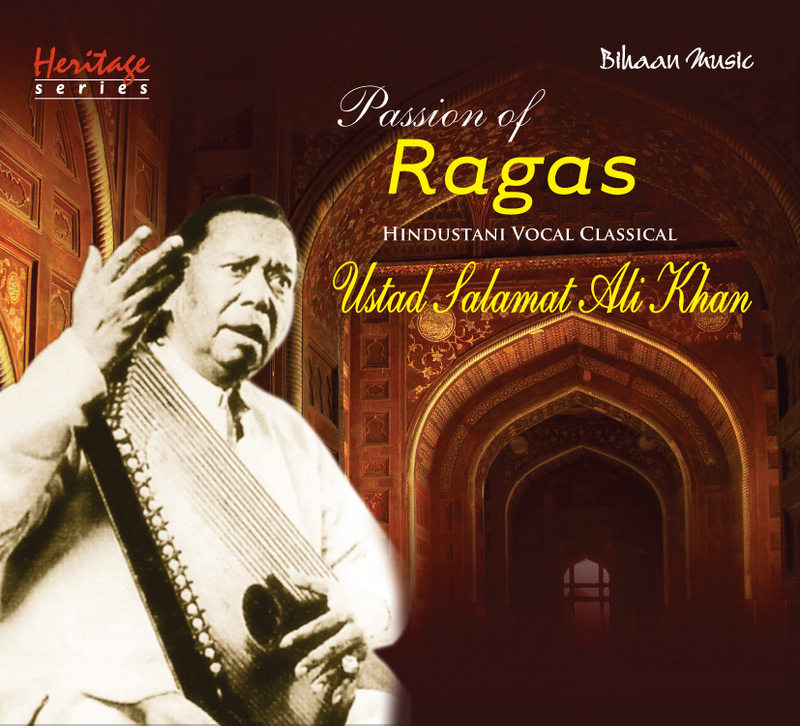 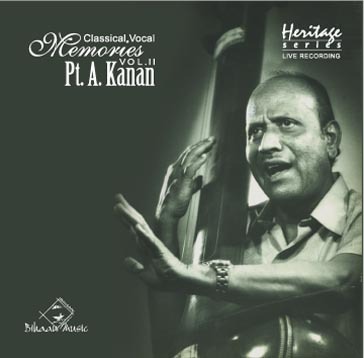 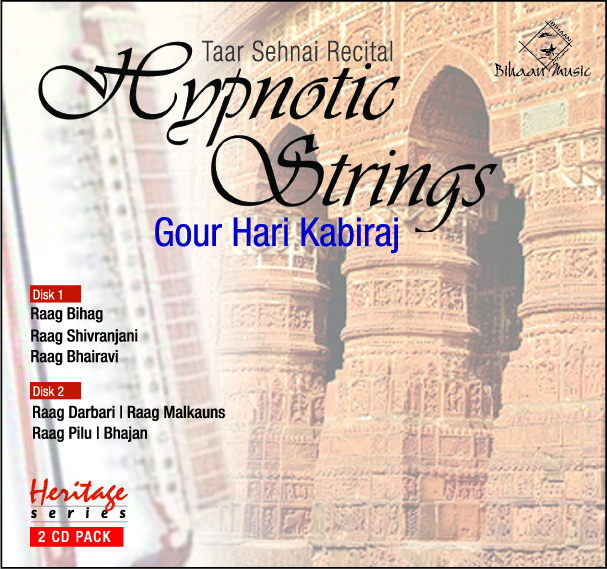 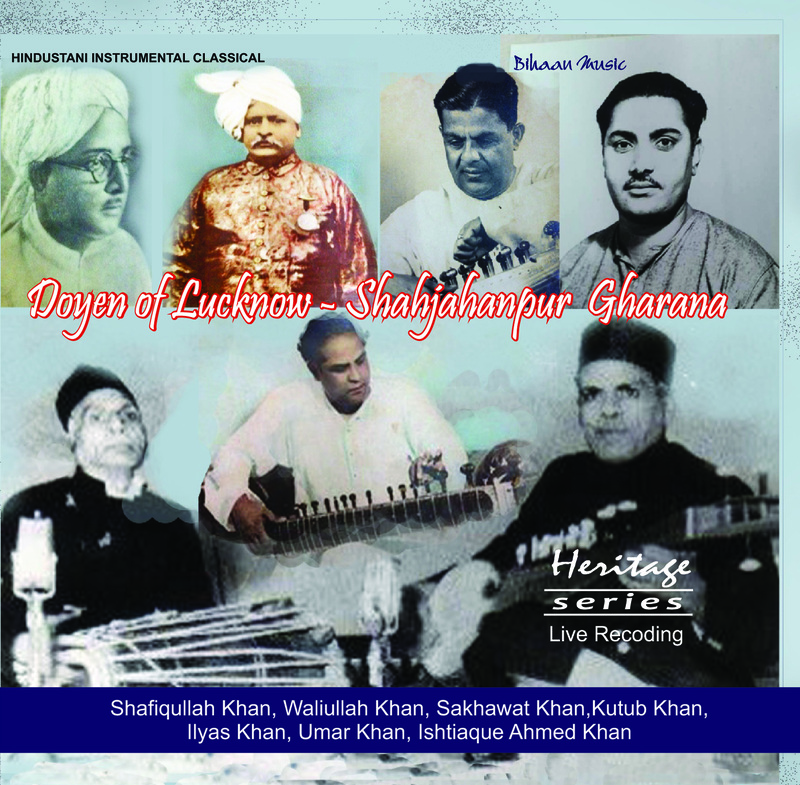 Among the many memorable performances that took place in this electrifying atmosphere was Ranadhir Roy’s Alap in Komal Rishabh Asavari presented in this CD on Track 01 – and for the first time to the public. 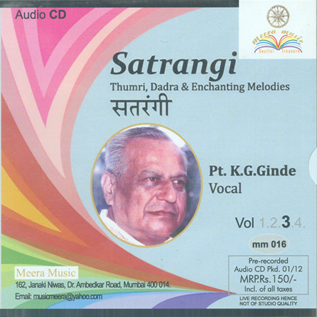 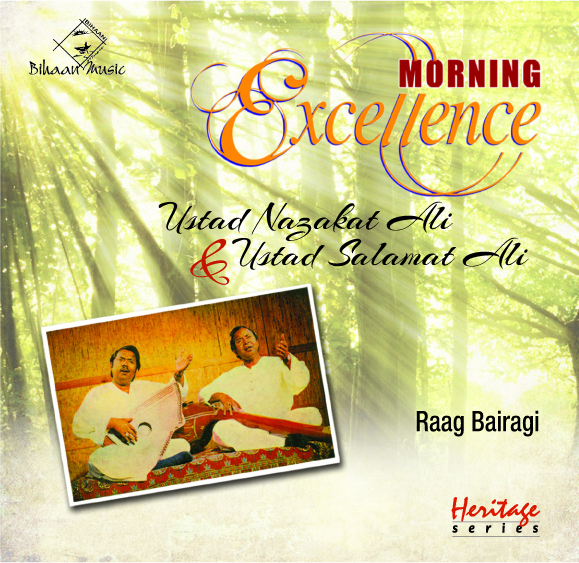 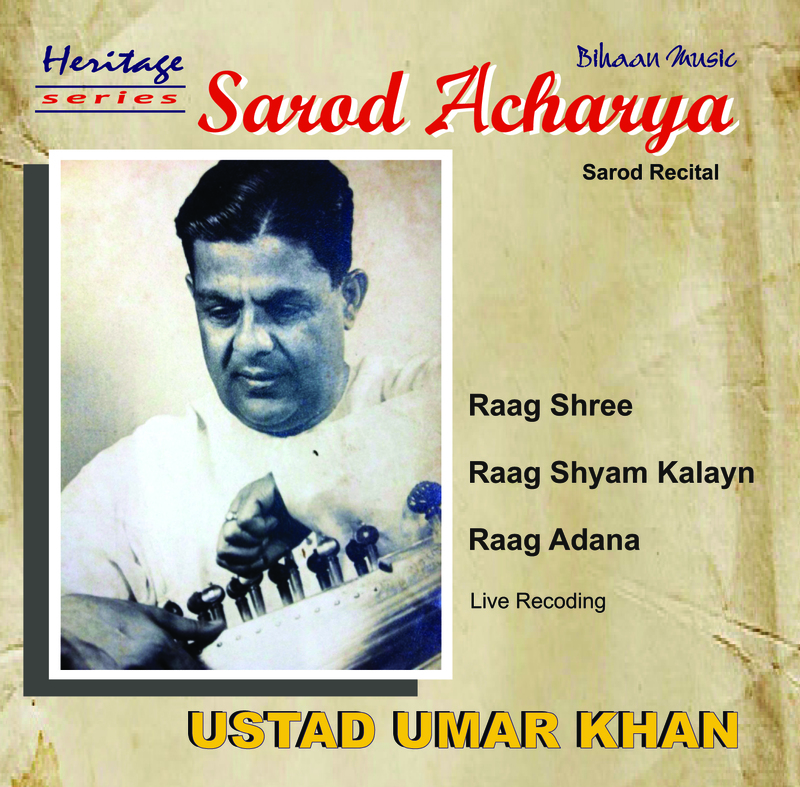 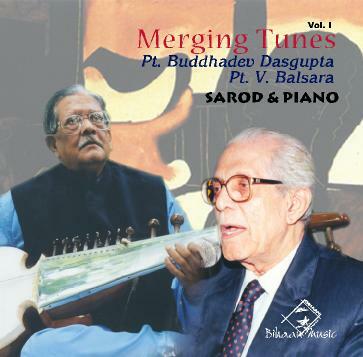 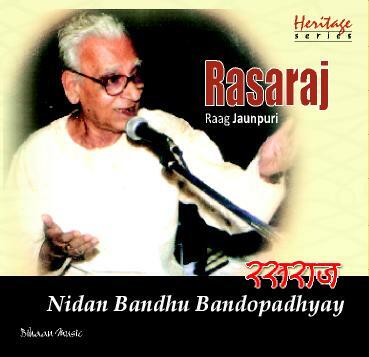 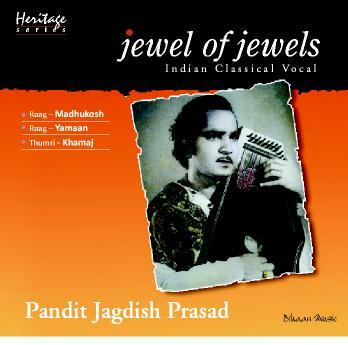 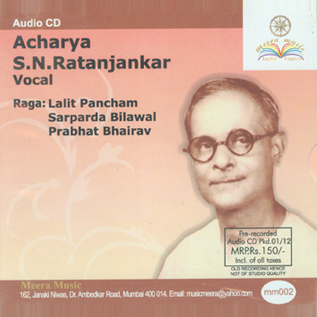 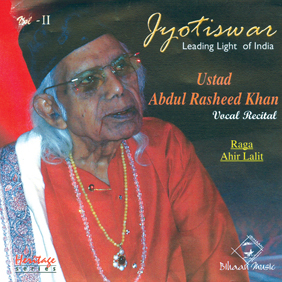 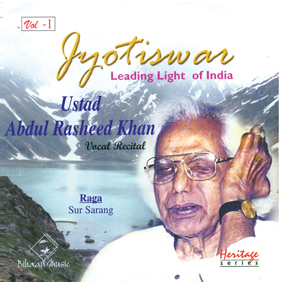 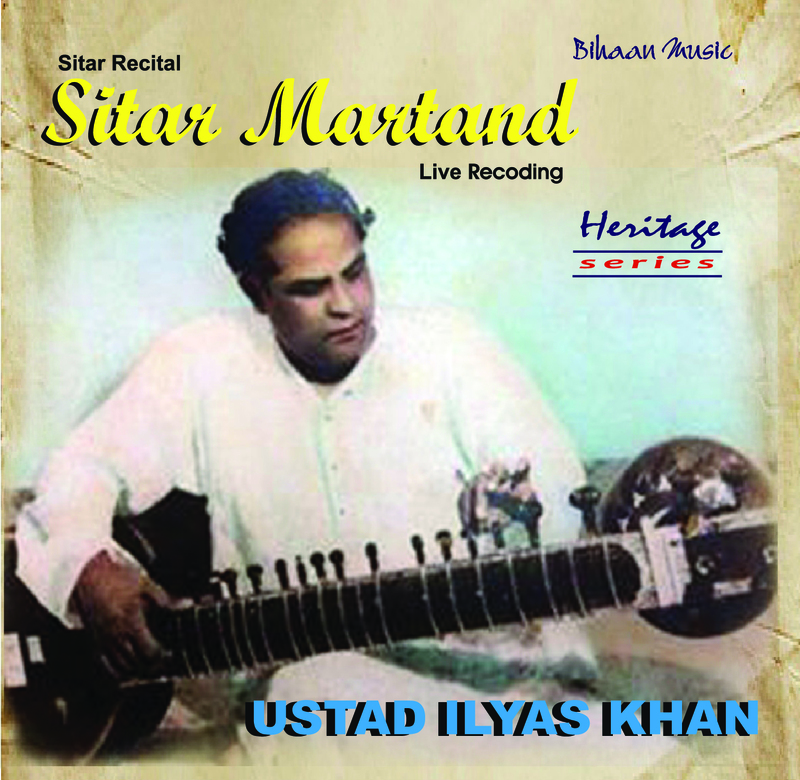 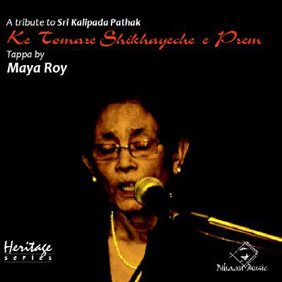 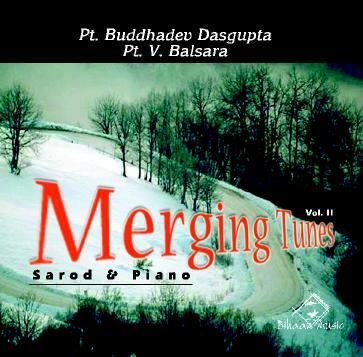 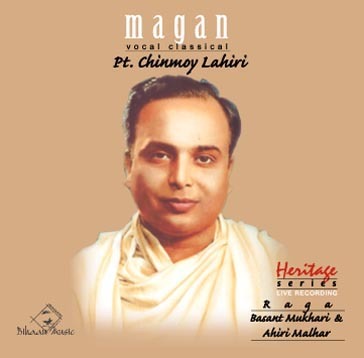 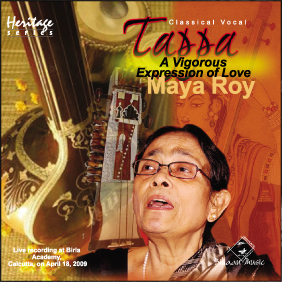 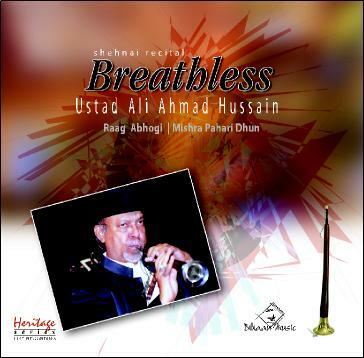 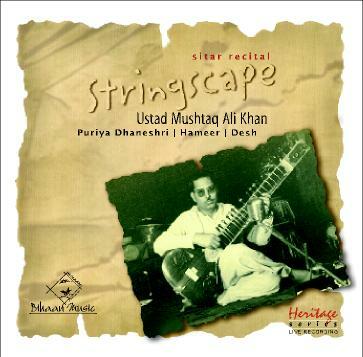 This alap reveals not only Ranadhir Roy’s inimitable technique and mastery over the Esraj but also his deeply thoughtful and thought-provoking raga interpretation, compositional depth, and total emotional and intellectual involvement with his work. 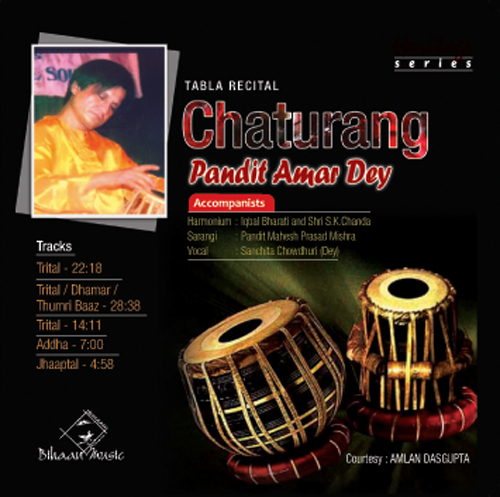 The discerning listener would like to note Ranadhir Roy’s legendary command over finger work and bowing techniques as well as the richness of his melodic inventions. 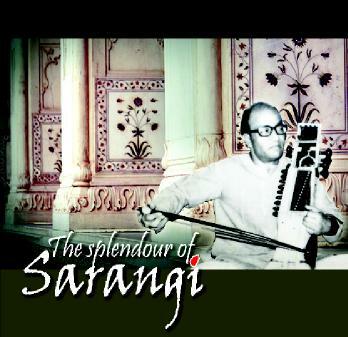 Ranadhir Roy was alert to the fact that he did not belong to any particular gharana. 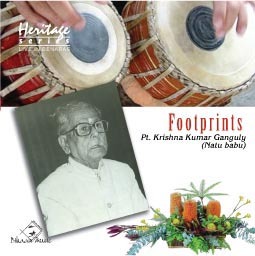 This gave him a sense of freedom that allowed him to create his own music, to painstakingly build up a musical language that expressed his unique musical personality. 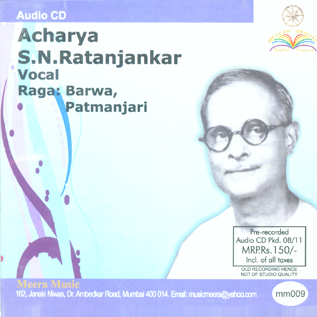 (34, 54) He was guided down this path of musical individualism by his first guru Aseshchandra Bandyopadhyaya, the one who influenced him the most. 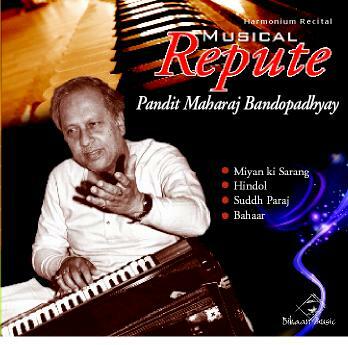 Ranadhir Roy was never tired of acknowledging this fact: that it was Aseshchandra Bandyopadhyaya who taught him “How you should look at music, how you should compose your own music: this is one thing I have learnt from Asesh Bandyopadhyaya. 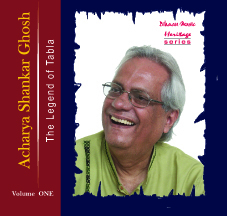 … No other guru can give me this.” (44) Not surprisingly, it was also Aseshchandra Bandyopadhyaya who taught Ranadhir Roy that he would have to journey down different paths to discover the truth of music, to discover true music (17), and not just follow one guru blindly. 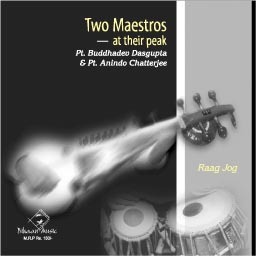 (19, 40) It was therefore not a chance happening that Ranadhir Roy learnt from three very different teachers. 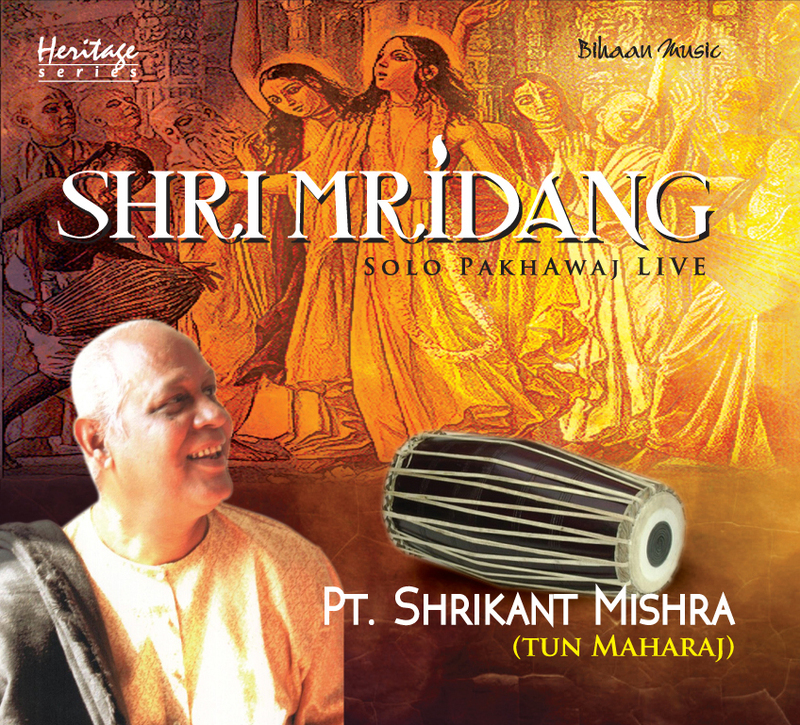 Mishra at Sripalli near Sangit Bhavana in Santiniketan. 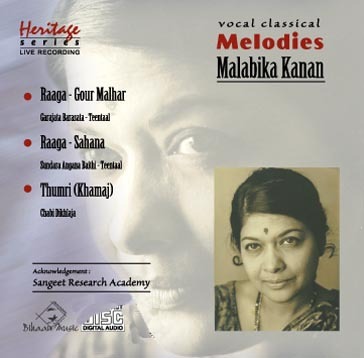 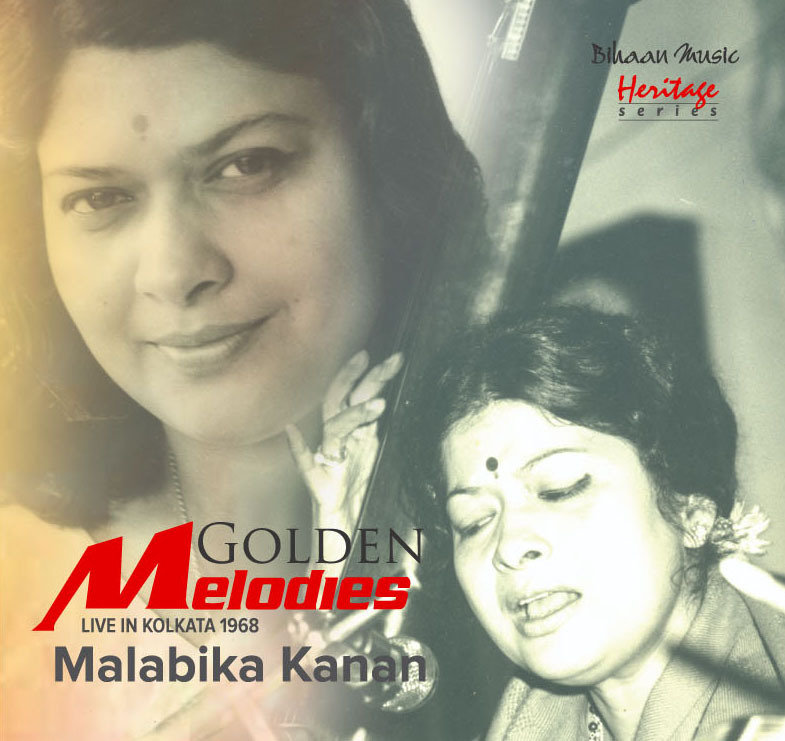 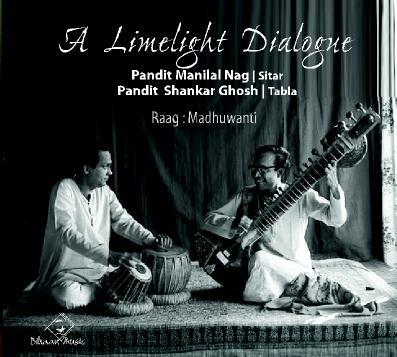 The tape recording of this performance, as indeed many others, exists thanks to the archival zeal of Jin Nakamura, a Japanese student of Ranadhir Roy. 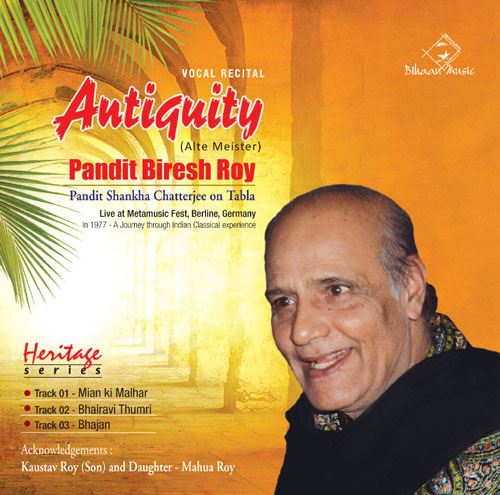 After the alap ends, Ranadhir Roy announces, in his inimitably jocular style, a short break for tea, after which he would play a duet with Pandit Indranil Bhattacharya. 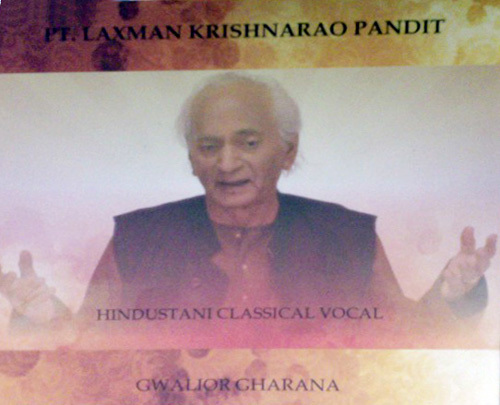 Unfortunately, no recording of this duet exists. 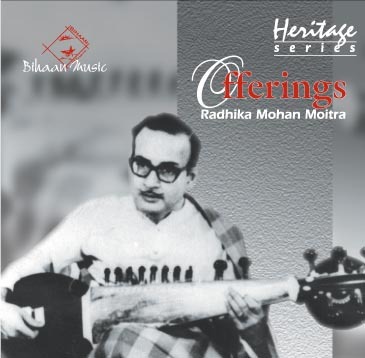 of modification. 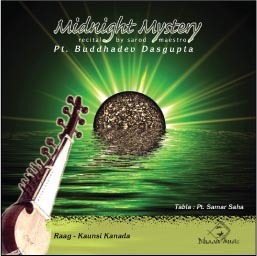 But one must ask why Ranadhir Roy needed to modify the Esraj in the first place. 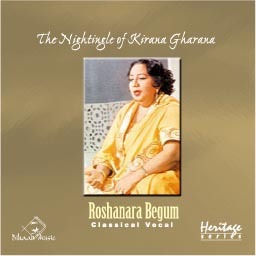 One must understand that his intention was not to preserve the original tonal quality, even though as a child he was drawn to the instrument precisely because of it. 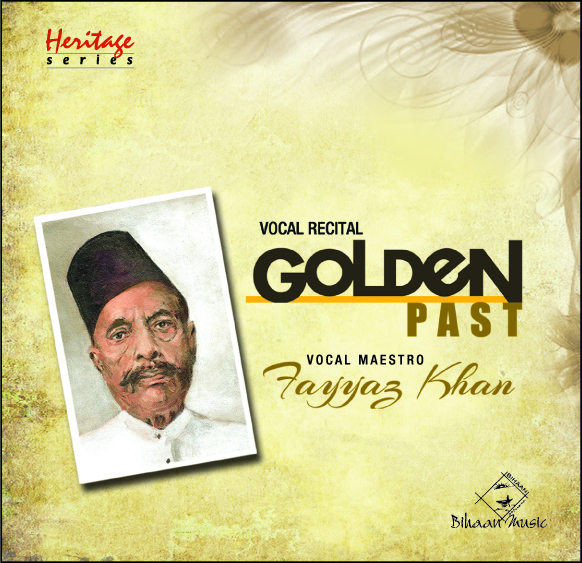 He needed to modify the structure of the instrument to make it yield the full palette of tone colours that it possesses spanning three octaves. 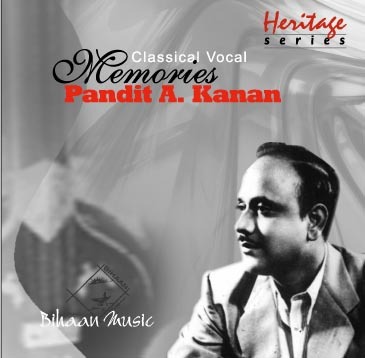 And he needed this much wider palette to express his musical self, his experience as a musician, the musical truth that he was to discover again and again. 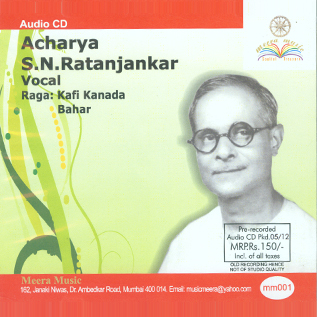 It is worth remembering here that Aseshchandra Bandyopadhyaya himself had done his bit in reinventing the Esraj in terms of instrument construction, its handling, and in developing a special musical idiom for it. 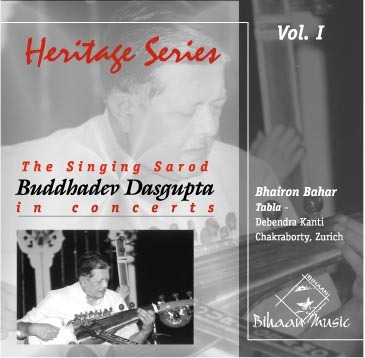 He had himself gone far beyond his Bishnupur roots to create his own music that was unique to the Esraj. 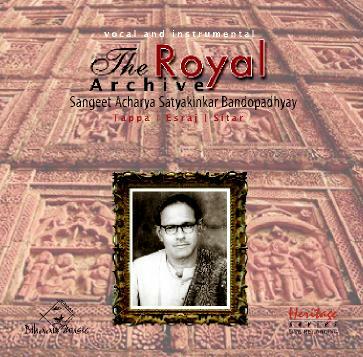 (18) To Ranadhir Roy it was absolutely clear that Aseshchandra Bandyopadhyaya had inherited his musical knowledge from his parent gharana of Bishnupur and the unique style of music and handling of the Esraj from his uncle Surendranath Bandyopadhyaya. 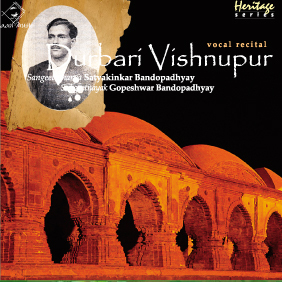 But it was also equally clear to him that Aseshchandra Bandyopadhyaya had not remained contented with received knowledge and with slavishly reproducing inherited music. 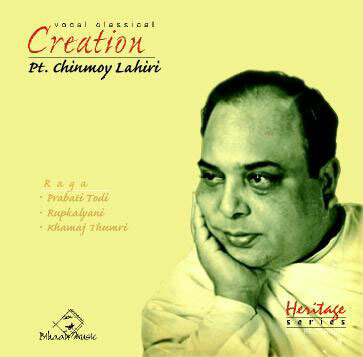 He had worked long and hard to produce something that was unmistakably his own. 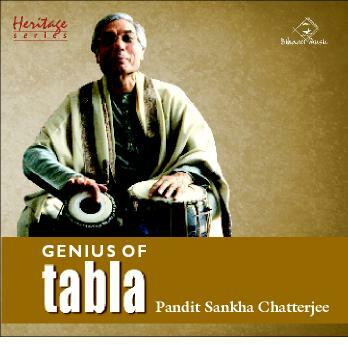 (18, 20) This music carried the imprint of its maker who had left Bishnupur at the age of seventeen and had started his life as a young teacher in Santiniketan under Rabindranath Tagore. 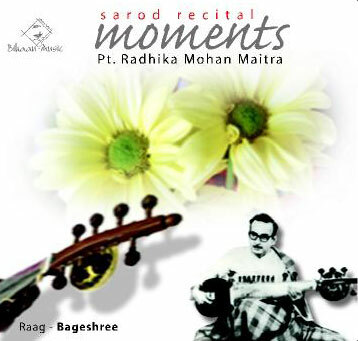 staccato notes. 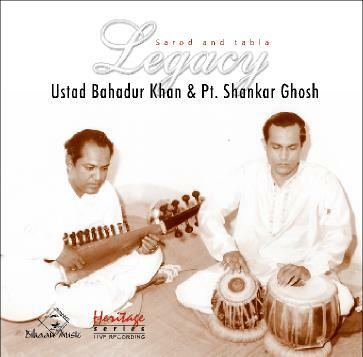 Here too he did not sacrifice legato playing but raised it to new levels even as he showed how the most intricate jhala strokes could be executed at unimaginable speeds without compromising clarity on this instrument. 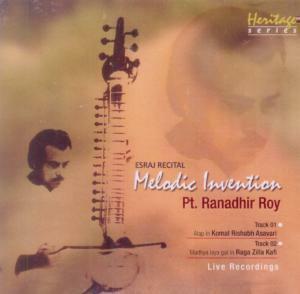 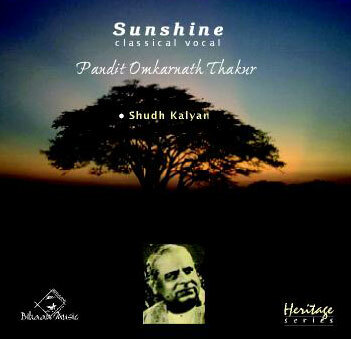 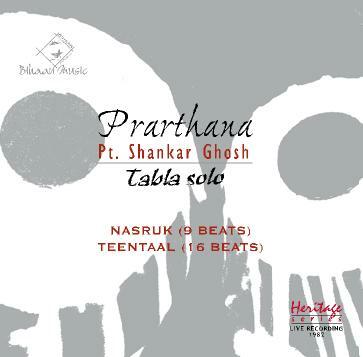 However, for Ranadhir Roy technique had little value on its own; it was instead one aspect of what he termed “total music”. 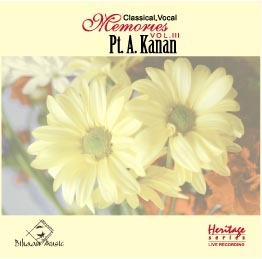 (43) In other words, it complemented the musical intention of a particular composition or performance. 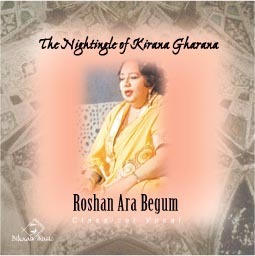 Technique, although dazzling at times – like the jod and jhala that ends the alap in Komal Rishabh Asavari– is never intended to merely dazzle. 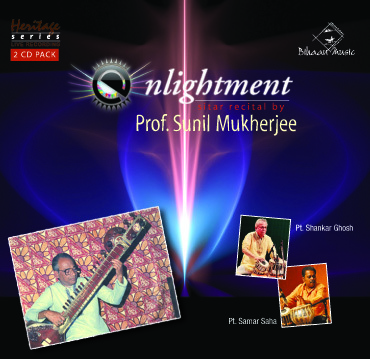 Its logic is embedded deep within the universe of the particular composition, and that universe holds the secret of musical truth.